I know we are not Carbon Copies…. Did you know we have cardstock also? Recycled Paper Bags, made from old Calendars. 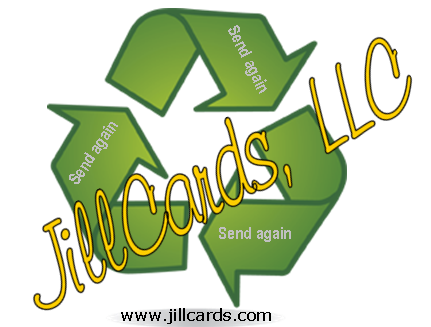 Don’t throw out your old calendars, please consider donating them to JillCards, LLC. …that make my good days look better! People don’t talk much about the love friends have for one another. that “like” just isn’t strong enough to describe the bond. You’re that special kind of friend. I never get tired of your company. And I can always be myself with you, confide in you, depend on you. For being such a great person, such a good friend.